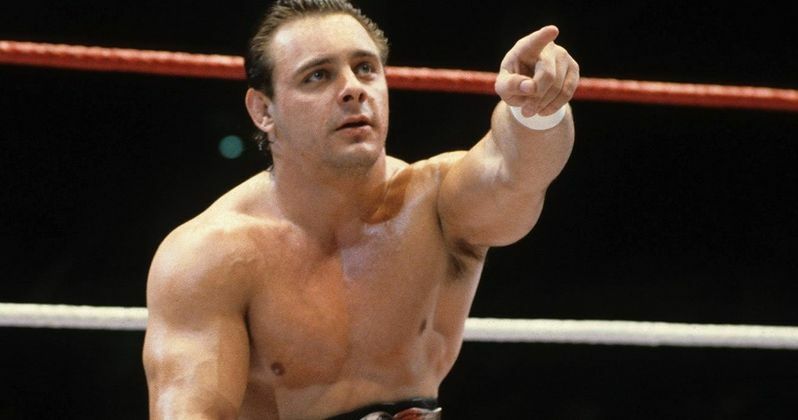 British WWE legend Thomas Billington, aka Dynamite Kid has passed away. He was 60-years old. Billington's nephew, Davey Boy Smith Jr. confirmed the news on social media this morning, shocking the pro wrestling community. Billington shot into fame in the early 1980s as one half of the British Bulldogs alongside his cousin, Davey Boy Smith. Over the years, Billington had suffered a number of health issues and was relegated to a wheelchair in the mid 1990s. The wrestler died on what would have been his 60th birthday. Dynamite Kid competed in the World Wrestling Federation, Stampede Wrestling, All Japan Pro Wrestling, and New Japan Pro Wrestling in the mid-to-late-1980s. He was born in Golborne, Lancashire and was around boxers through most of his young life. Both his father and his uncle were boxers and started training him early on. While in school, the future Dynamite Kid didn't really enjoy academics, but he excelled in gymnastics and wrestling, which became his favorite things to do. It's his early gymnastics training that many believe his unique fighting style came from. Dynamite Kid's pro career started in 1975 while working for Max Crabtree. Early in his career, he won the British Lightweight title in 1977 and then the Welterweight title in 1978. During his Stampede Wrestling days, he made a big impact on Bruce Hart and Bret Hart, who still believes that Dynamite Kid is "pound-for-pound, the greatest wrestler who ever lived." In 1979, Big Daddy Ritter, aka the Junkyard Dog, introduced the young wrestler to the anabolic steroid Dianabol and he was later introduced to speed by Jake Roberts, aka Jake the Snake, the following year. From there, Dynamite Kid went on to wrestle for International Pro Wrestling in Japan, where he developed his feud with Tiger Mask. Dynamite Kid made his WWF television debut on August 29th, 1984, where he and Bret Hart defeated Iron Mike Sharpe and Troy Alexander. He later ended up teaming with Davey Boy Smith to form the British Bulldogs, while Hart teamed with Jim Neidhart as The Hart Foundation. The two teams would compete against each other many times with the fights usually ending in a no-contest. The British Bulldogs won the WWF World tag team title during WrestleMania II. Dynamite Kid broke his back in the ring in 1986, which should have ended his career. However, he made a comeback and stayed with WWF until 1988. Dynamite Kid went back to Japan to wrestle where he did so until 1996. His career ended after his body started to degenerate and he suffered a seizure at an airport. From there, things only got worse. The following year, he lost use of his left leg and was relegated to a wheelchair. It has also been reported that Kid Dynamite had several heart problems over the years and then suffered a stroke in 2013. Dynamite Kid is survived by his wife Dot, daughters Browyne and Amaris, and son Marek. This news was first reported by Davey Boy Smith Jr.' Twitter account. Rest In Peace, Thomas Billington, aka Dynamite Kid. This is a punch to the gut. As a kid Dynamite is probably the first guy I remember recognizing as ahead of the curve & a true innovator.